There are a lot of cosplay shops online out there that you do not know which ones to pick. Well, we made things easier for you by picking the top 10 best cosplay shops on the internet. You will find shops that you specialize in costumes, wigs, accessories, shoes, and many more. Enjoy browsing! For individuals who enjoy dressing in cosplay outfits, a good option to purchase such outfits and accessories is actually at EZcosplay.com. This type of online store is definitely a wholesaler/retailer website based in China for you to discover anime clothes, superhero clothing, movie clothes, bad guy clothes and many other things. They are specialized in making variety kinds of cosplays with five-star quality for more than 5 years. Which range from wigs to costumers, accessories ect. Whether you’re an experienced cosplayer, an amateur cosplayer, or just a fan of anime and manga, you can be sure that you will find characters and costumes at our store that will help you make your cosplaying dreams a reality. Besides, they can also provide the customized service, as long as you submit the requirement, they can design for you. If you are a cosplayer who wants to get every detail of their cosplay perfect—from the makeup to the shoe design—Bad Wolf Costumes is the shop for you. They stay true to their slogan “Costumes, accessories, and sewing patterns – making fantasy a reality!” because, indeed, they bring your favorite characters to life. Run by husband and wife team, Alex and Kate, Bad Wolf Costumes started because of their love for costuming, fantasy, sci-fi, and the middle ages. Their goal is to make the costume dreams of their customers come true by creating detailed and well-crafted clothing, props, and accessories. While they cater to all genres, they focus more on fantasy and sci-fi fandoms such as Skyrim, Start Trek, Lord of the Rings, and more. In addition, they create costumes for babies and children. Bad Wolf Costumes is dedicated and committed to creating your dream cosplays. Choose from more than 9000 costumes when you visit Cosplay Made’s online store. They have a wide variety of cosplay items, so you always get the costume that you are looking for. However, if they do not have the items that you want, they can be custom made according to you measurements and preferences. Whether you are looking for ready-made costumes or made-to-order props, Cosplay Made is there to help you. Prices range from $8 – $200. They also hold sales. Their company name says it all! FF Cosplay specializes in providing high-quality Final Fantasy cosplays for dedicated cosplayers who want to be Sephiroth, Rinoa, Quistis, or Noctis for one day. No matter how simple or complicated your costume is, this shop can design and create awesome FF costumes. They have more than 10 years of experience in crafting Final Fantasy cosplay costumes. Despite all of the installments being standalone, they have identical elements that makes the whole franchise legendary. The store makes sure that these elements are incorporated in each costume to give it a realistic and personal touch. FF Cosplays knows that many cosplayers want to cosplay a FF character. So, they are always prepared to accept numerous commissions and requests whenever a new installment comes out. All of their products are affordable and new styles are added on a weekly basis. Role Cosplay is one of the leading cosplay shops that offers a wide variety of costumes and accessories from different genres. Their goal is to be a one-stop shop for everything, so cosplayers will not have a hard time finding what they need. Some of the costumes that they provide include Love Live, Yuri on Ice, Attack on Titan, and Tokyo Ghoul. While they do their best to cater to all fandoms, they focus more on animes. They also provide costumes for Halloween, birthday parties, and other special events. Prices are between $12 to $150 and the also offer discounts. Getting the hair color and style of a character is very important for a cosplayer. However, there are times when finding the exact one is difficult and, before you know it, you are spending thousands of dollars on a single wig that you might only use for a few days. Well, you do not have to experience that anymore because Cosmic Bytes Cosplay Shop is here to help you with all of your cosplay needs—particularly on wigs. Despite being based in Manila, they have catered to international clients and even have the famous cosplayer, Liui Aquino as their endorser. They have a wide selection of cosplay wigs from different brands—from the cheapest to the most high-end. Whether you are on a budget or want to give your all on a wig, Cosmic has the perfect item for you. Prices of the wigs range from $11 to $60, depending on the style you want. You can also ask them if they ship to your country. While they specialize in beautiful and high-quality wigs, Cosmic Bytes Cosplay Shop also sells cosplay items such as contact lenses, props, and shoes. Visit their Facebook page today and choose from their hundreds of wigs that will help make your cosplay better. Taobao is one of the most famous cosplay stores in the world and they also have numerous sub stores in various countries. One of the trusted sub stores is Taobao Focus, which specializes in delivering cosplay items worldwide. They also help customers buy products at Taobao.com in different languages. Most of their items come from China and deliver them fast anywhere in the globe. You will find everything here, from accessories to full-on costumes to props. 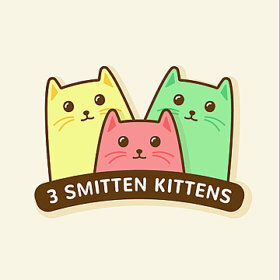 If you are specifically looking for cosplay accessories that are exactly like the original, Three Smitten Kittens is the shop for you. The owner, Jakilyn, has been creating cosplay accessories since 2010 using polymer clay and other craft supplies. When cosplay became popular in the Philippines, she saw there was a big demand for cosplay items, specifically accessories. However, she also realized that most cosplayers are having a hard time purchasing these accessories. So Jakilyn decided to make it easier for them by creating the accessories herself. She started accepting commissions from friends and local cosplayers, but soon expanded to the international community. Most of those found in her Etsy shop are previously made and can be done if requested early on. If you are looking for hard-to-find cosplay accessories, Three Smitten Kittens can create one for you. Prices range from $10 to 40, but they can vary depending on the accessory you want. Get the best tailor-made costumes for your cosplays at Cosplay Sky. This shop has been in the costume-making field for more than five years and has created thousands of costumes and props for local and international cosplayers. All of their costumes are handmade and created from high-quality fabrics and materials. By shopping in Cosplay Sky, you get custom items that will make your cosplay perfect. When you are in a rut and do not know where to find cosplay items, remember that the best cosplay online shops are just a few clicks away. We hope this guide will help you in your quest to create the perfect cosplay for that upcoming convention or shoot. Have fun shopping!